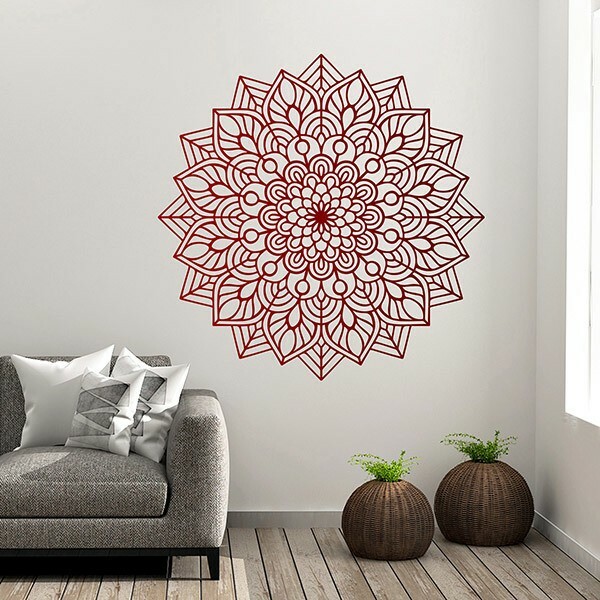 Wall sticker Ovated mandala. 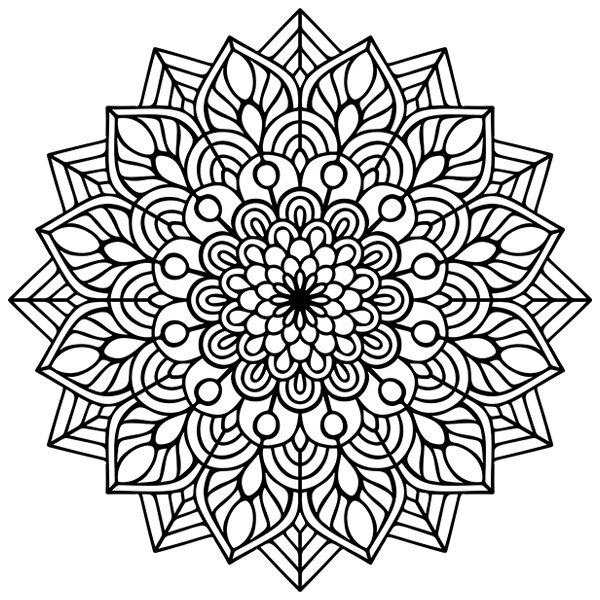 Design of a mandala composed by a sequence of leaves of ovada form, in the center a great flower can be observed. The mandalas are spiritual symbolic representations and rituals of the macrocosm and microcosm, so there is a link with nature. Size: 31 x 43 cm. 60 x 60 cm. 70 x 70 cm. 80 x 80 cm. 90 x 90 cm. 100 x 100 cm. 110 x 110 cm. 118 x 118 cm.